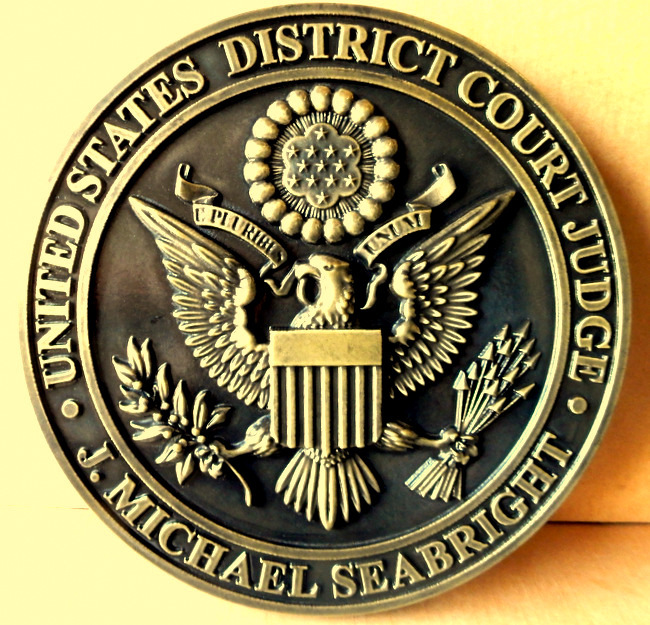 Above is a brass-coated 3D carved High-Density-Urethane (HDU) wall plaque for a judge of the US District Court. This plaque has high polish on art, text and central background; and dark patina is used for background on this plaque. These plaques are polished by hand to bring out the high-lites. This seal is 24 inches in diameter, but can be purchased in any size from 16 inches to 60 inches in diameter,It can also be customized with other text.